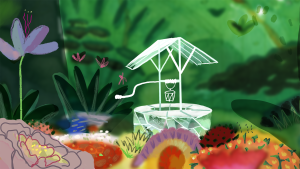 On Saturday, July 29th, the Toronto Animated Image Society (TAIS) is thrilled to present a summer night of animated dreams: two 60 minute programmes of short animated films, the results of the 2017 Anijam competition, and a new interactive work in VR by artist Zeesy Powers. 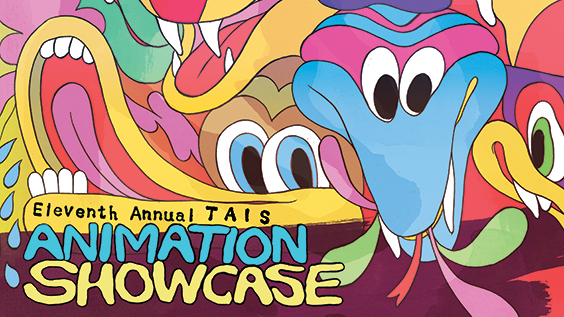 Official Trailer – 11th Annual TAIS Animation Showcase from TAIS on Vimeo. Featuring 20 short animated films, all created within the last two years, the finalists in this year’s programme cover a variety of genres and stylistic approaches to the animation art form. Including ethereal and spooky dreamscapes, car chases, evocative abstraction, environmental issues, humour, sentimentality, and themes that speak to a positive Queer future, this year’s programme features narrative and experimental films from 9 different countries: Canada, USA, Costa Rica, UK, China, Scotland, Switzerland, Spain, and Taiwan. This programme is for mature audiences only. 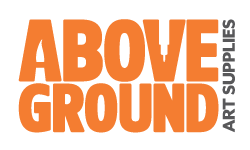 Awards will be given, as selected by the audience, and a guest jury of Canadian animation gurus/filmmakers/artists: Michael Fukushima, Adrienne Crossman, and Nicolas Sassoon. The audience will select an ‘Audience Choice – Short Film’ and ‘Audience Choice – Best Anijam’. 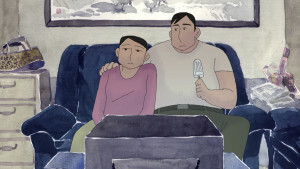 The jury will award a ‘Grand Prize – Best of the Showcase’ award, and a ‘Jury’s Best Anijam’ award. Full bios for the 2017 Jury are available HERE. Also featured is TAIS’ BIG EYES Sharp Teeth Anjiam competition. 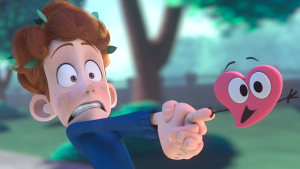 With 20 entries this year, these 10-second animations bite off more than they can chew, and hold you in a piercing glare and won’t let you look away. With wide-eyed wonder we’re excited to watch this year’s competition! It will be fierce! 2017 TAIS Anijam: BIG EYES Sharp Teeth Edition from TAIS on Vimeo. Rafael Sommerhalder was born in Switzerland in 1974. He studied Film Direction at ECAL in Lausanne and Animation at the Royal College of Art in London, and lives and works as an animator/filmmaker in Zurich, Switzerland. Birdlime is the name for a sticky substance which is spread on branches to trap wild birds intended for export or trade. 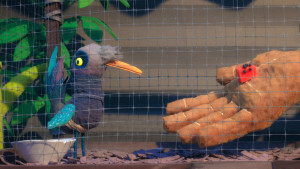 The film observes one bird who barely manages to escape this industry, yet remains trapped in a cage and surrounded by unfamiliar sounds and un-birdlike creatures. 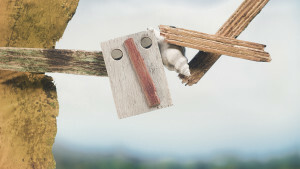 Evan DeRushie is a stop-motion puppet mover from Toronto ON, Canada. Birdlime is his second short film, and probably not his last. 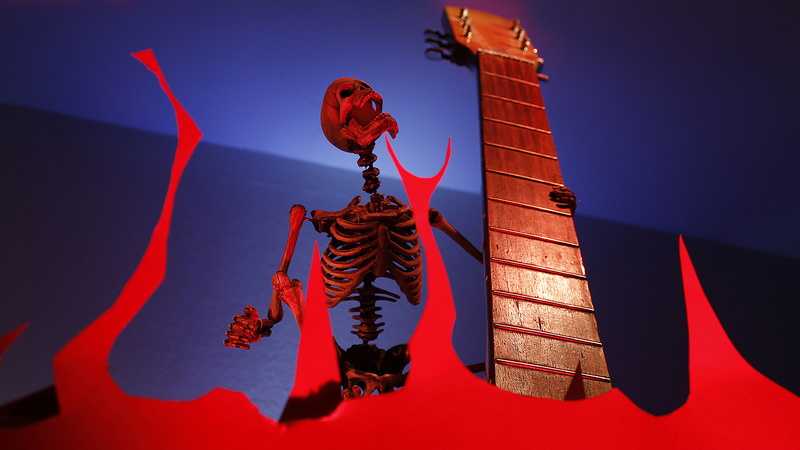 An old, worn out guitar is ‘reclaimed’ by the spirit that resides within it’s hollow body. 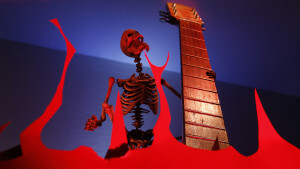 Bone Guitar is a one minute stop-motion film, using only found objects and materials, all shot in camera. Canadian rock band, The Sadies, provide the musical accompaniment. 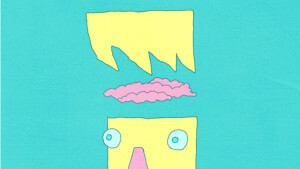 Julianna Cox is an animator, designer and artist from Woodstock NY, now based in Elora, Ontario. Some of her more recognizable work can be seen on the television series Creature Comforts and Shaun the Sheep from Aardman Animations, Henry Selick’s Coraline, and a long list of commercial work. Julianna is co-founder of Mechanical Farm Animation. Payton Curtis is a self taught animator, born and raised in a small farming community in Southern Ontario. Payton’s most recognizable work can be seen in Henry Selick’s, Coraline and Wes Anderson’s, Fantastic Mr. Fox. Payton is co-founder of Mechanical Farm Animation, alongside Julianna Cox. 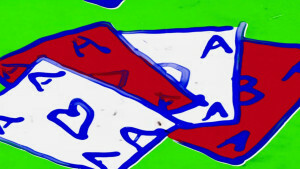 A film for my Father, who gambled with love. Steven Woloshen has been passionately creating handmade abstract films and time-based installations for more than 30 years. Lecturer, Juror, technician, animator, craftsman and recently, author of Recipes for Reconstruction, the filmmaker’ s manual for decay, renewal and other handmade, analogue film techniques. A farmer goes down to the town fair and returns home with a new pet. Julian Gallese is an artist from Costa Rica. 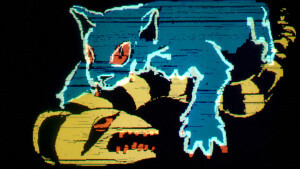 After several exhibitions in his hometown, he studied classical animation in Canada, where he made his debut short film Menagerie. 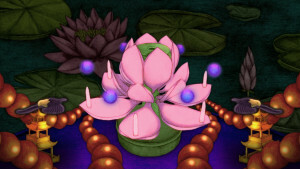 His animations have been screened in film festivals around the world. An audition for a conditioner commercial becomes an otherworldly psychogenic experience. 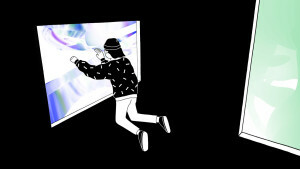 Shane Beam is an animator floating somewhere between Chicago and Virginia. 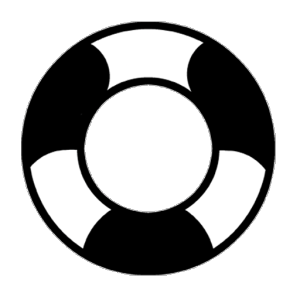 He has a passion for unique forms of storytelling and unintelligible characters, drawing inspiration primarily from extended bouts underwater. 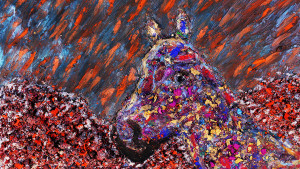 Michael Enzbrunner is a Toronto-based visual artist and animator. His work, which combines analog and digital media, includes drawings, paintings, comics, animations and recently, experiences for VR. Mum’s calling, and Lisa isn’t pleased. “Hi, It’s Your Mother” is a shocking tragi-comedic stop motion short about family ties and blood. Daniel Sterlin-Altman is a Toronto-born animation filmmaker and graduate of the Mel Hoppenheim School of Cinema in Montreal. Daniel currently works in Melbourne, Australia. Fela Bellotto and Etienne Kompis both studied animation at the University of Lucerne of applied Sciences and Arts in Switzerland. Hypertrain is their graduation movie. Beth and Esteban are recent graduates of Ringling College of Art + Design. They are a team of animators and filmmakers from Cincinnati, Ohio and Mexico City, Mexico respectively. 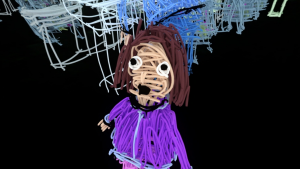 A high-stakes confrontation between a six-year-old girl and a malfunctioning automated checkout machine (observed by the artist at an L.A. Walmart in 2003). Nick Fox-Gieg is an animator and creative technologist based in Toronto. He was awarded an Eyebeam Fellowship in 2012, a Fulbright Fellowship in 2006, and has received media arts grants from Bravo!FACT, the Canada Council for the Arts, and the arts councils of Ontario, Pennsylvania, Toronto, and West Virginia. He holds an MFA from the California Institute of the Arts and a BFA from Carnegie Mellon University. Most recently, he’s been working on virtual reality projects at Framestore and Google Creative Lab. 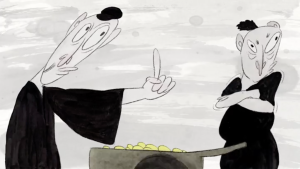 Ted Wiggin makes short films and software for animation. He teaches animation at RISD and Parsons School of Design and works commercially in New York. Xingpei Shen grew up in mainland China, where he spent most of his time indulging in internet subculture and plotting his romantic exile. While priding himself on being the class misfit, he blames his sweet awkwardness on excessive Die Hard Andy Lau moments and 90s anime girl power. He just graduated from Rhode Island School of Design. He draws glamorous characters with sparkles next to their bubbly eyes, sends hearts emojis to his friends, and contemplates on queer identity and vulnerability. A girl travelling on the subway becomes increasingly stressed as she is harassed by the strangers around her. Laura Hodkin is an animator from the UK and recent graduate from the Edinburgh College of Art. Her work explores the small grotesqueries and anxieties of everyday life. A visual poem about ideas of diaspora, homeland, and the tragic mass­deportations of the Kalmyk people during WWII. Alisi Telengut, is a visual artist, filmmaker and animator currently based in Montreal, Quebec. She creates animation frame by frame under the camera, with painting as the medium, to generate movement and explore hand-made and painterly visuals for her films. Tzu-Hsin Yang, also known as Cindy Yang, graduated from Taipei National University of the Arts Animation Department and currently a Character Animation student at California institute of the Arts. Four neighbours live out in their lives completely unaware of each other until the death of one of them sets off a chain of events that inadvertently brings the remaining three together. FIG house is a team consisting of nine stop-motion enthusiasts: Virginia Findlay, Tiya Zhong, Emily Millard, Brad Flowers, Karliegh Ivens, Maude Ashby, Una Di Gallo, Yingqi Wu, and Airin Budiman. Produced at Sheridan College, Oakville, Canada. Once she was the sun, the stars, the sky. The myth “Narcissus” retold as “Sister Narcissa” for the internet generation. A story of self obsession told as a timeless tale with clear reference to modern technology’s role in amplifying the collective ego. Dylan Glynn is based in Toronto and studied animation at Sheridan College in Oakville, Ontario and La Poudrière in Valence, France. His multidisciplinary practice is characterised by its emotion, grace and sense of wild-movement. His work has been recognized and exhibited by Society of Illustrators, American Illustration, Somerset House and the Canadian Screen Awards. Wang Yihao and Tong Reko’s graduate film from the Chinese Academy of Art, making this work involved more than 4000 watercolour drawings. 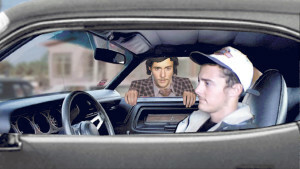 Ben’s life changes when he buys a Mustang off a local Los Angeles used car salesman. Ben Fernández studied Advertising and Public Relations at The University of Alicante. This is his first film. Zeesy Powers will present a new work in VR at the Showcase this year. Entitled This Could Be You, produced in TAIS Studios in collaboration with Gamma Space and Dames Making Games, this interactive VR experience puts participants in the body of a 90-year-old female in the middle of techno-dystopic environment. Created as part of TAIS 2017 Canadian Artist in Residence program. Zeesy Powers is a multi-disciplinary artist who lives and works in Toronto. Powers works with moving images and text in her artistic practice, exploring how technology impacts our lived experience and mediates our relationship to the cultural and natural systems that support and shape society. 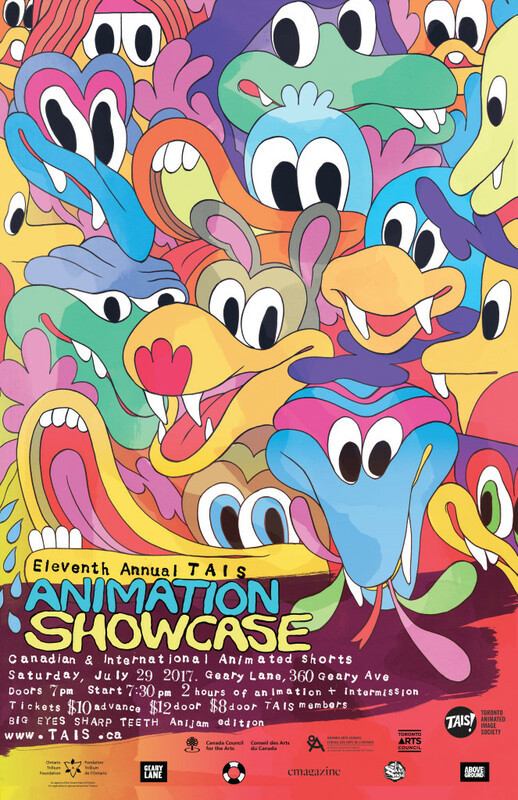 For the 11th Annual TAIS Animation Showcase promotional campaign, artist Patrick Kyle was commissioned to produce this stunning artwork. Created in response to our Anijam theme BIG EYES Sharp Teeth, Patrick’s illustration represents of all the creatures that lived under your bed when you were a child.